The rights of private property shall be most protected. An entrepreneur should be provided with available and reliable instruments of protection of his rights in judicial and law-enforcement system. For this purpose we propose to introduce an institute of Business-Ombudsman in Ukraine, who will protect the interests of both Ukrainian and foreign businesses in Ukraine. 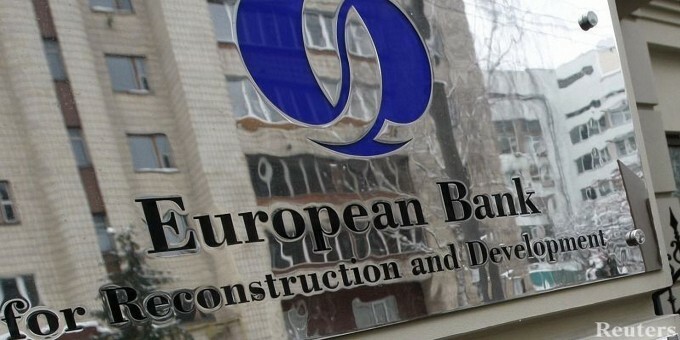 Support in implementation of this institute in 2013 was guaranteed by the president of European Bank for Reconstruction and Development Suma Chakrabarti. 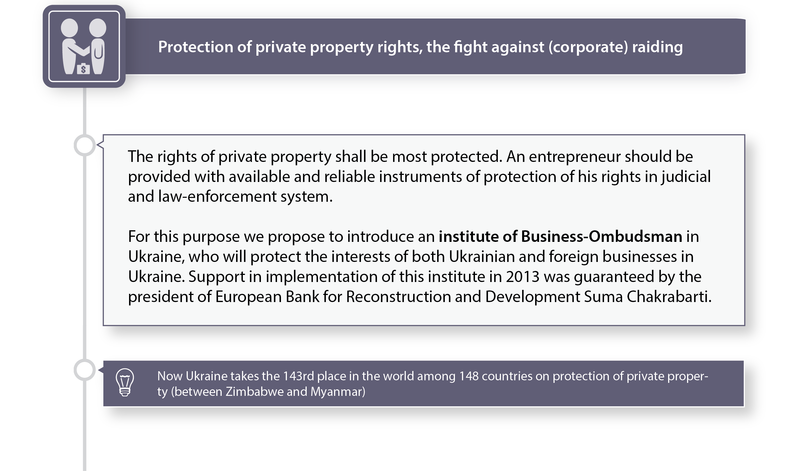 Now Ukraine takes the 143rd place in the world among 148 countries on protection of private property (between Zimbabwe and Myanmar).